Motor Legal Protection: How will you get your extra cover? 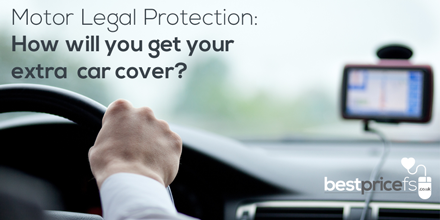 Motor Legal Protection: How will you get your extra car cover? If you’re looking to up the ante on your car insurance for the smallest possible spend, chances are you’ve considered Motor Legal Protection. A policy like this designed to help you after a non-fault accident, an event in which most standard car insurance policies fall short. The product in itself is fairly straightforward, but with so many options available, choosing how to arrange this cover can be difficult task. To make things a little easier we’ve outlined the various ways in which you can buy Motor Legal Protection. Pros and cons considered for all, after reading this you’ll have a better idea how you might like to buy this essential extra. Buying Motor Legal Protection through your insurer is one of the most popular ways of getting this cover. It’s easy, convenient and can give peace of mind knowing you’re covered with a reputable insurer from the outset. But like nearly all things of convenience, there comes a cost, and buying motor legal protection this way can be expensive. Some insurers can charge up to £30 for this product and because many people buy this on an ad-hoc basis without doing any research, often they’re unaware of cheaper and potentially better quality alternatives elsewhere. Regardless of how you buy this product, the companies that issue legal expenses policies in the UK are comprised of a small subset: Allianz, DAS, Aviva, Capita and Legal Protection Group. And so if you’re tempted to buy with your insurer because of their reputability, don’t let this be a decider; the quality of the service provided if you needed to process a claim would be comparable, regardless of who you buy with. Getting this policy as a stand-alone product has seen a rise in popularity over recent years, and it’s no surprise. Buying this independently often means you’ll pay less than you would with your car insurer as you’ll have opportunity to shop around for cheaper alternatives. It’s possible that you can get better value for money too – brokers tend to incentivise their products to dissuade consumers from buying this with their car insurer. This can come in many shapes and forms: whether it’s a far lower price or superior cover, either way, the consumer is likely to benefit. Buying this stand-alone however, does take more time and effort. Granted it’s not as easy as a simple tick-box, but if it can lower your car insurance costs considerably, then it’s worth consideration. Rather than taking out a traditional motor legal protection policy, there are some alternatives. One such is a Motor Legal Membership. 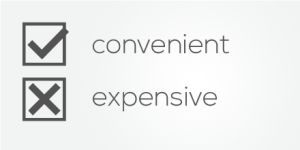 Memberships such as these provide legal cover when required at no cost. However, because this is not a paid for policy, there are some major differences in how you are protected. Firstly, membership to such groups is usually on the condition that any services provided to you after an accident, such as legal defence, are by companies of the organisation’s choosing. While this isn’t necessarily a disadvantage to you, it does restrict the range of services available to you. The affiliative nature of this term of the membership is also a hint at how “free” motor legal agencies get by. 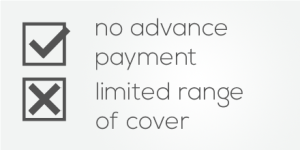 Secondly, relying on membership like this means that you may not get quite as much cover as a paid policy, so if you’re after a like-for-like replacement car then this may not be the best route to take: after all, free cover can only get you so far. Another alternative is after-the-event insurance. We’ve all seen the adverts – ‘no win, no fee’ has become a buzzword for claims of every kind. Indeed, this can come in handy if you didn’t quite realise the value of legal cover before your incident. Also you’ll only be paying for a service when you need it however, this method is not without its limitations. Companies such as these are renowned for taking a sizeable chunk of your compensation and to a degree this can be validated, as legal representation can be costly. More worryingly however is the limited range of service they provide. Fondly known as ambulance-chasers, many of these companies are interested solely in personal injury cases and so the level of protection they provide is inferior to a traditional legal packages. So there you have it: your options when it comes to buying motor legal protection. It’s a strongly held belief that if you put the hard work in, the benefits will follow and in this instance, it couldn’t be truer. The more research you do, it seems there’s a more opportunity to get a better deal. Sure it’s not a legal requirement, but for the reassurance and genuine aid it provides it’s certainly a handy policy to have. 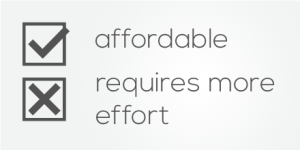 And if you’re able to get the same benefits at a better rate then it makes sense to make the switch. Discount broker Best Price FS provide stand-alone, quality Motor Legal Protection for just £9.99 a year and includes £100,000 worth of cover and unlimited like-for-like vehicle hire as standard. More details about this cover can be found here.